Since I am replacing the Qball with a true Cyclocross Bike I decided to take the Qball apart and redistribute the parts. I will be using the Salsa Woodchippers, levers, and bar end shifters on the Cannondale XS800. The Race Face Evolve Crankset and Avid BB5s are going into the rebuild of the Raleigh and I am going to make that into a 2x9 and sell it. So what to do with the Qball? 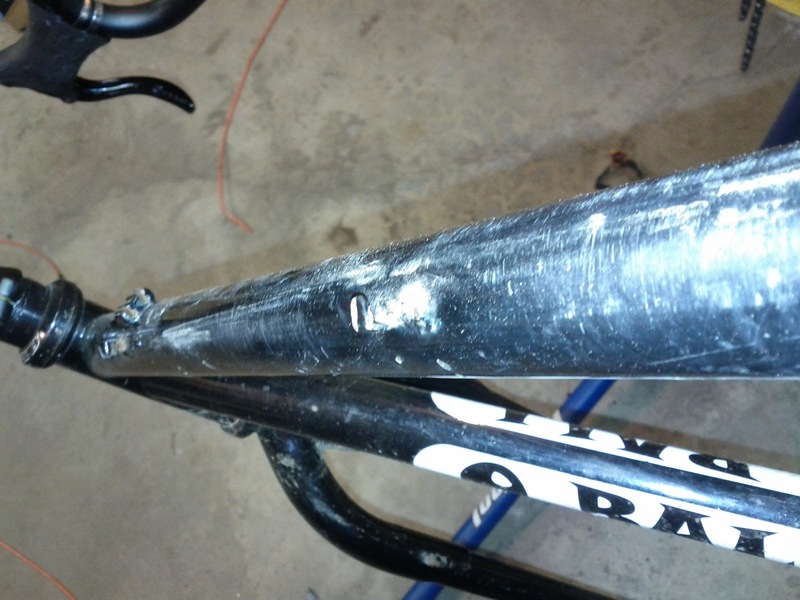 Bike has some rust on it and the bottom bracket is pretty bad, too. I have 2000 miles on the frame so maybe I can put another 1000 miles on it back as a singlespeed again. 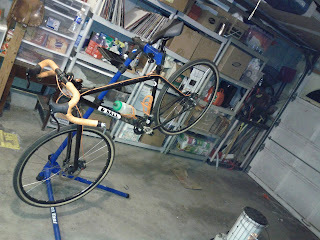 Working until almost midnight I mounted my FMe bars with an Avid Juicy 3 brake. 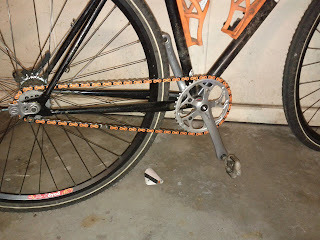 Went fixed using the TomiCog and an old Sugino Compact Crankset using only the 42t chain ring. The TomiCog is a 20t so I have a slightly better than 2:1 ratio. Might have to see if I can find a 15t TomiCog. On the driveway, it felt really good. The Fme bars will take some getting used to because this are so narrow. 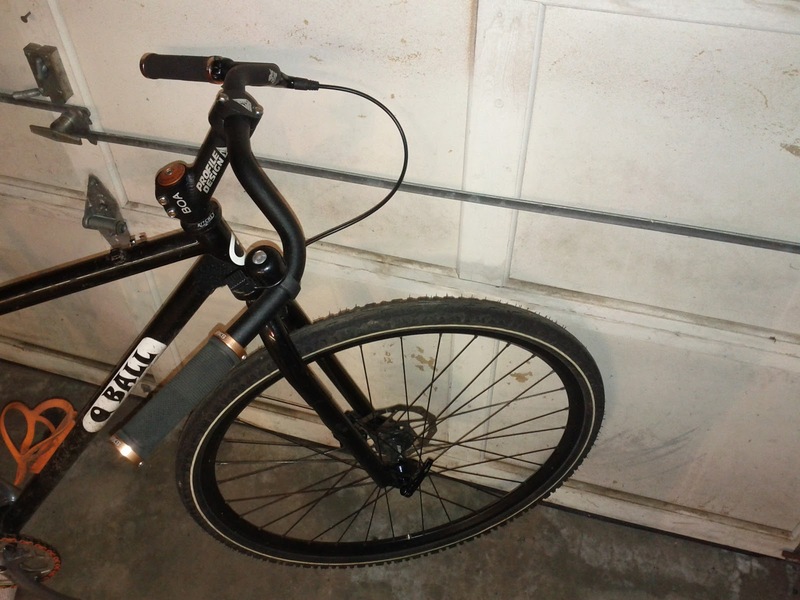 I am going to try them for awhile but at some point I might get bull horns and bar end levers. 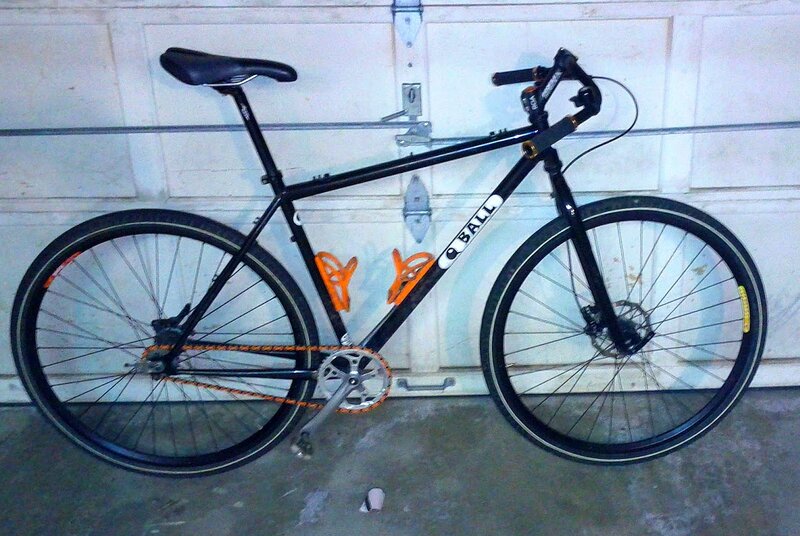 I am going to use this primarily on the trainer and maybe some railtrails when the snow it gone.